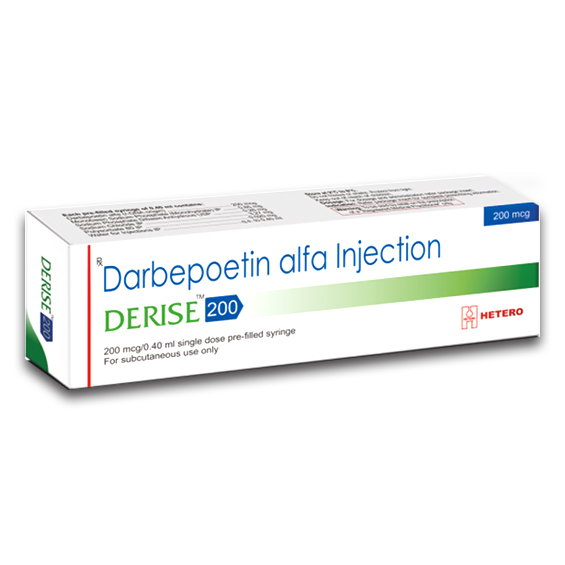 Derise 200 Injection is an erythropoiesis-stimulating agent (ESA). It works by stimulating the bone marrow (soft tissue inside the bones which produces red blood cells) to produce more red blood cells. Derise 200 mcg Pre-filled Syringe is used in the treatment of anemia due to chronic kidney diseaseand anemia due to chemotherapy.